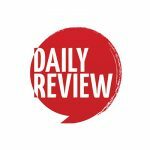 Victoria takes up some of the slack of the Turnbull government | Daily Review: Film, stage and music reviews, interviews and more. The small to medium arts organisations were hardest hit by the cuts introduced by the former arts minister George Brandis which has left other organisations and funding bodies to take up the slack left by the Turnbull government which has been returned to government since the July 2 election. The Victorian Government had earlier announced a $113 million increase in funding over the next four years to help that sector and today announced that some regional festivals and indigenous arts companies would now get increased support in the 2017-2020 round of that previously announced Creative Victoria’s Organisations Investment Program. Applications for funding were assessed by eight independent panels of experts across the visual and performing arts, theatre, literature, festivals, dance, music, community cultural development and heritage, based on artistic merit, quality of services and contribution, and organisational capacity. “Priority was given to supporting more vulnerable organisations that are delivering strong creative or cultural outcomes: more than 20 per cent of organisations are regionally based, 10 per cent are indigenous and 10 per cent are dedicated to working with young people,” the government said. This is good. Here in Qld we never had any good policy on the Arts, maybe for ballet etc which the monied classes always want. We have had two Premiers who were/ are Arts Ministers and both were appalling. Only there for the “soft announcables” the Arts give. Anna Bligh and Annastacia Palaszczuk are totally useless. In the Visual Arts they just give all the money to QAGOMA and somehow think that is helping Qld Art!! The only good Art Minister was Joan Sheldon, a Liberal, and she was also Treasurer! Why complain about the Fed Govt cuts when Qld never gave anything to cut! !